Home How important is energy efficiency? The research was took out by the Nationwide Building Society and found that since 1996 the number of owner-occupied A-D energy rated homes had surged from 20 per cent to 70 per cent. It said that in around the same time, the amount of houses with double-glazing had gone from 30 to 81 per cent. Gary Warby, Managing Director Premier Windows, said: “The Nationwide study shows us just how important home energy efficiency is, particularly if you’re selling your home. If your property isn’t energy efficient it’s going to be barrier at the point at which you want to move on. Figures published by the Energy Saving Trust say old single-glazed and even older double-glazed windows loose 25 per cent of heat in a home. 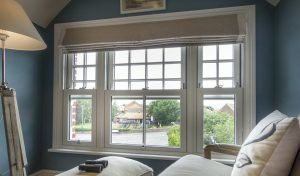 It is said that new windows can help energy savings by up to 75 per cent. Premier, offers a large variety of energy efficient double-glazed and triple-glazed windows and doors. This includes thermally efficient 1.2W/m².K (the measure of heat loss) or Window Energy Rated A+ rated double-glazed windows and ultra-energy efficient triple-glazed windows, which will achieve U-values as low as 0.8W/m².K – that’s a Scandinavian ‘Passivhaus’ standard. Gary, said: “Energy efficiency isn’t just about selling houses. First and foremost, it’s about making them a nicer enviroment to stay in. For more information, please don’t hesitate to email us on enquiries@premwindowsanddoors.co.uk or call a member of our team on 0800 854 353.